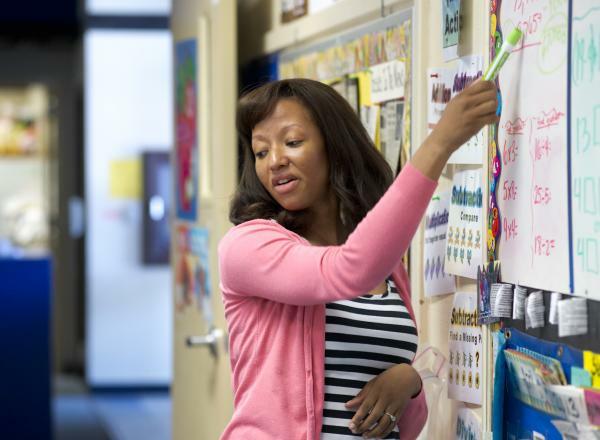 Faculty, staff, and students in the UC Davis School of Education conduct and disseminate leading-edge research on public education’s most intractable problems. 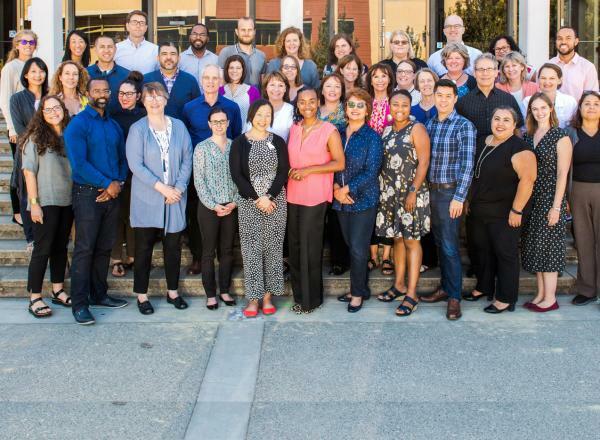 Our research is grounded in practice, and we work in partnership with complex and diverse schools and communities, inside and outside classrooms, to make immediate impact and establish nationally recognized models of best practices. 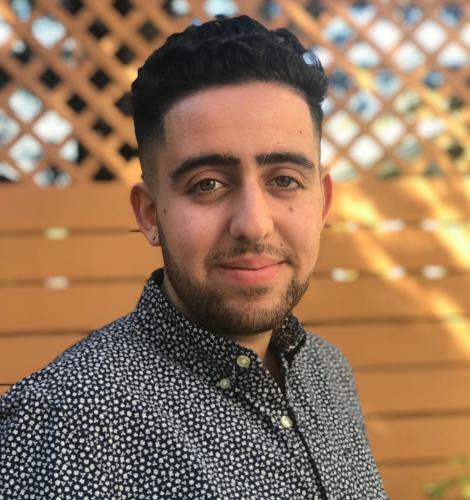 We’re excited to welcome Chris Jadallah to the the Center for Community and Citizen Science this fall. Chris is a NSF Graduate Research Fellow at the UC Davis School of Education, and will be pursuing a PhD in Science and Agricultural Education. He recently completed his B.S. in Conservation and Resource Studies at UC Berkeley, where he also worked as a researcher and project manager studying native bee conservation. 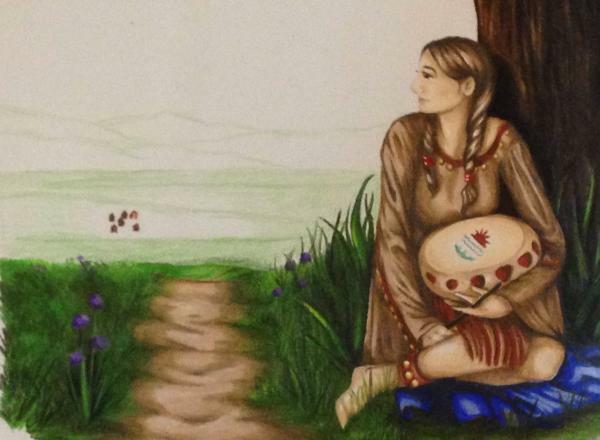 He is interested in exploring the linkages between environmental education, conservation biology, environmental studies, and social justice with the ultimate goal of supporting healthy and empowered communities. Welcome, Chris! 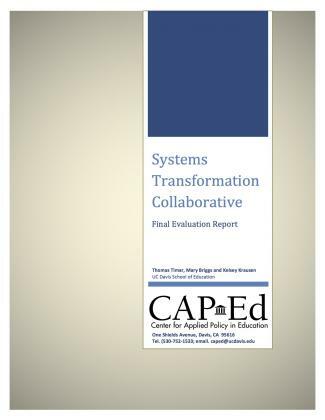 The System Transformation Collaborative (STC) was a three-year project designed to facilitate inter- and intra-district collaboration and to develop collective leadership and instructional capacity. On April 19th, the Graduate Group in Education invited its faculty and PhD students to display posters of their 2015/16 conference presentations. This is a great opportunity for students to display their enthusiasm and excitement for their research while learning about others’ work as well. 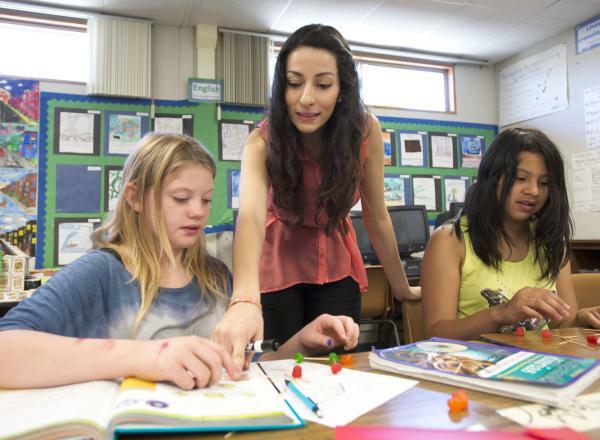 University of California, Davis, researchers in education and economics have been awarded nearly $5 million to find out how well the state prepares K-12 students for college and careers. Nearly 30 of the School’s faculty, students and researchers present their latest research at the annual conference of the American Educational Research Association (AERA) in Chicago on April 16-20, 2015. 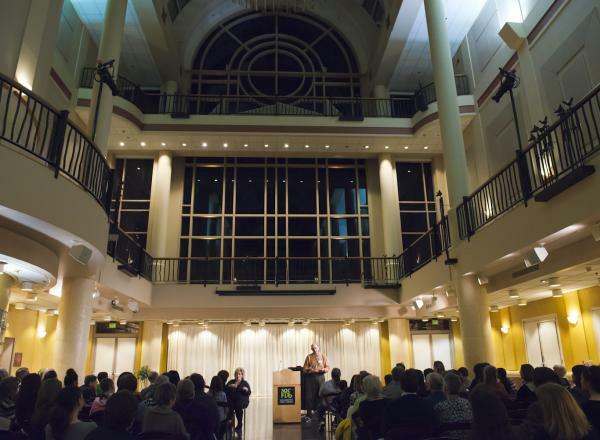 Learn more about the School’s research featured at the 2015 conference. 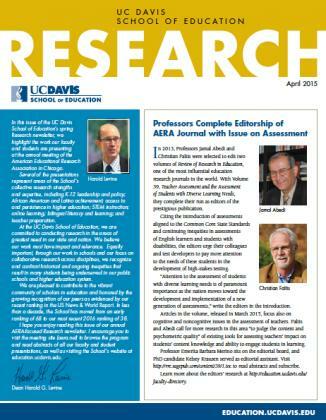 Download the School’s Education 2015 AERA-Focused Research Newsletter. Forty of the School’s faculty, students and researchers present their latest research at the annual conference of the American Educational Research Association (AERA) in Philadelphia on April 3-7, 2014. 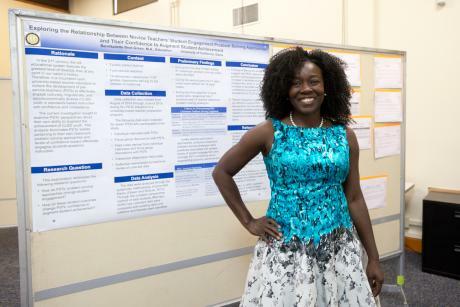 Learn more about the School’s research presented at the 2014 conference. Download the School’s Education Research Newsletter. In recognition of his scholarship on the use of language among Black and Latino youth in urban English Language Arts classrooms, the National Council of Teachers of English Assembly for Research (NCTEAR) has honored Danny C. Martinez, assistant professor of education, with an award for his continued work to increase diverse perspectives into how we examine language and literacy in multicultural and multilingual communities. 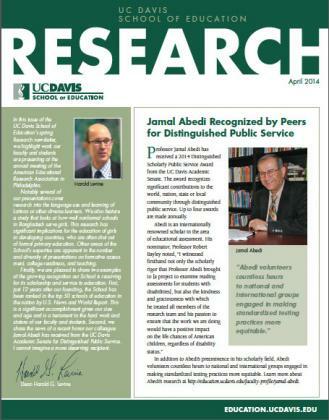 Professor Jamal Abedi has received a 2014 Distinguished Scholarly Public Service Award from the UC Davis Academic Senate. The award recognizes significant contributions to the world, nation, state and/or local community through distinguished public service. Up to four (4) awards are made annually. 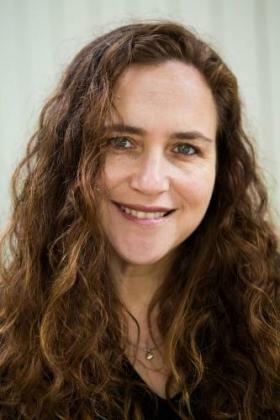 Associate Professor of Education Michal Kurlaender has been named among the 200 most influential education researchers in the country. 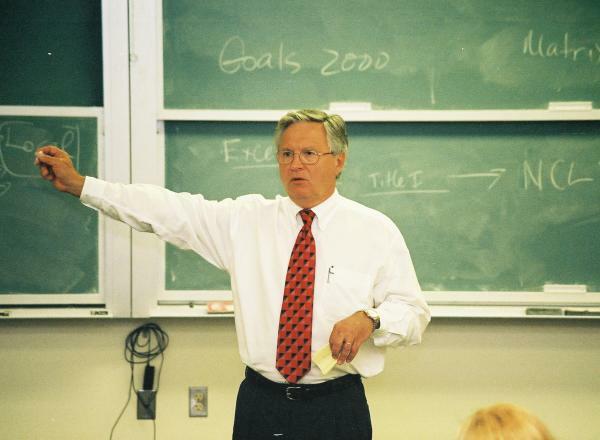 The U.S. Department of Education’s Institute of Education Sciences (IES) has awarded a four-year $1 million grant to School of Education professor Peter Mundy.